Participants of the Lasallian Association of Secondary School Chief Administrators (LASSCA) Conference returned to their schools throughout the Region reinvigorated and connected by a sense of shared mission. Chief administrators, board members, and Region and District leaders took part in the LASSCA Conference in Tucson, AZ, Sunday, February 24 – Wednesday, February 27. With the theme of Sustainability and Viability: Let’s Accomplish Both!, participants were inspired by engaging speakers, breakout sessions, idea-sharing, camaraderie and more. 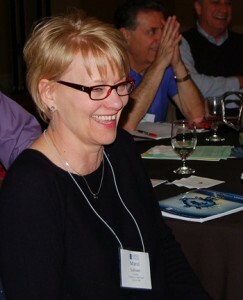 “I’m energized by the process because the speakers are excellent every year and the networking with fellow principals and presidents is always special and informative, and I always learn something new,” said Mary Hesser, principal of Christian Brothers High School in Sacramento, CA. 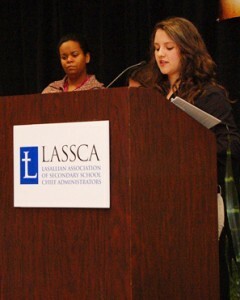 See pictures from the LASSCA Conference. The Conference began with a Mass celebrated by the Most Reverend Gerald F. Kicanas, D.D., Bishop of Tucson. Also on that first night, the band program at Christian Brothers High School in Memphis, TN, which is the oldest high school band in the United States, was awarded the inaugural Bro. Michael Collins, FSC Award. Bro. Michael was serving as President of DeLaSalle High School in Minneapolis, MN, when he died in January 2012 after a brief illness. 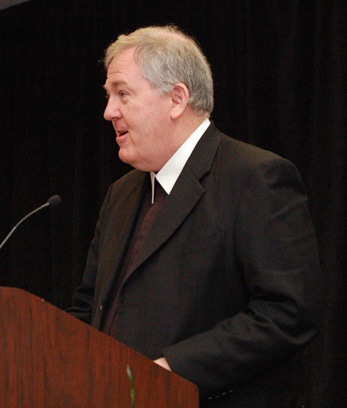 The award honors his legacy and recognizes excellence in a Lasallian secondary school program exemplifying some of his values, standards and passions. Each morning, students from San Miguel High School in Tucson led the group in unique prayer services and shared their personal stories. Each day also featured time for socializing and idea-sharing in both casual and structured settings. These opportunities are what many participants point to as one highlight of the conference, including Brother Gale Condit, new president at Archbishop Rummel High School in Metairie, LA. “It’s not only exciting, but it’s meaningful because I have the opportunity to meet with people who have much more experience in leadership positions than I have since I’m just starting out as a president and, I have to say, I’m learning a great deal just by being here with these people,” he said. Chief administrators had plenty of opportunities to learn new ideas through keynote speakers, breakout sessions, exhibitors, and more. Keynote addresses were given by Dr. Gregory T. Kopra, Director of Formation for Mission for the District of San Francisco; Bro. William Mann, FSC, President of Saint Mary’s University of Minnesota; and Father James L. Heft, SM, Alton Brooks Professor of Religion and President of the Institute for Advanced Catholic Studies at University of Southern California in Los Angeles, CA. A unique aspect to this year’s conference was a visit to San Miguel High School during which students welcomed each guest with a handshake. They took participants on tours of campus and talked about their education, the opportunities it provides, and their plans for the future. LASSCA participants were then treated to a reception catered by families of students and an inspirational video showing the impact San Miguel has on the lives of its students. “I was very impressed with San Miguel, in particular the student leaders they had taking us on tours. I could tell they had a lot of pride in their school, the spirit of their school,” said Dr. Robert Tift, president of Benilde-St. Margaret’s School in St. Louis Park, MN, which is in the re-affiliation process to join the Lasallian network again. The conference ended Wednesday morning with a presentation by Dr. Kopra and Dr. William Hudson, president of Totino-Grace High School in Fridley, MN, on how leaders can advance the Lasallian mission with confidence and boldness. As the participants returned home, they brought with them more tools to do just that. 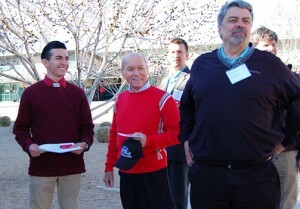 Read more about this year’s LASSCA Conference.